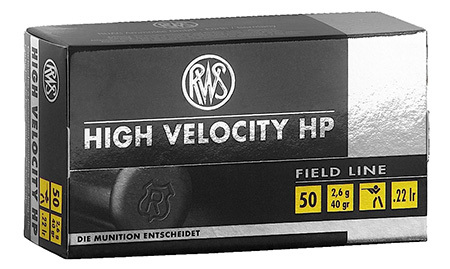 The RWS HIGH VELOCITY HP stands out due to its especially high penetration. On the one hand due to the noticeable plus in velocity of 80 ms and on the other hand due to the coppercoated lead bullet with hollow point. For this reason this smallcalibre ammunition is especially recommended for hunting small game and varmints. Suitable for long guns in calibre .22 l.r. and for barrel inserts.